Available in hardcover, paperback, and ebook. as a wall print through my Imagekind gallery. Available in hardcover, paperback, and ebook. The original artwork is also available as a wall print through my Imagekind gallery. 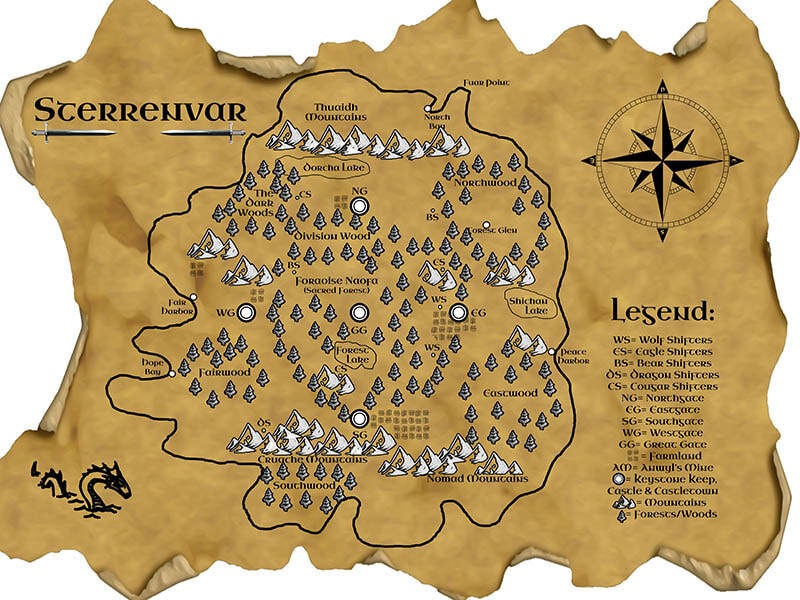 Come wander the magical world of Sterrenvar where swords & sorcery, action & adventure, seers & shifters all await you. Follow seer champion, Maelona Sima, & her friends Blaez, a wolf shifter, & Gareth, a human prince, as they protect the realm from enslavement by a dark sorcerer. I'm so, so excited to share my latest cover project and introduce you to Sherry Leclerc, who I'm sure is going to be one of my favorite series projects ever, as well as one of my favorite clients. She is so very easy to work with. I kinda think we think a little alike. 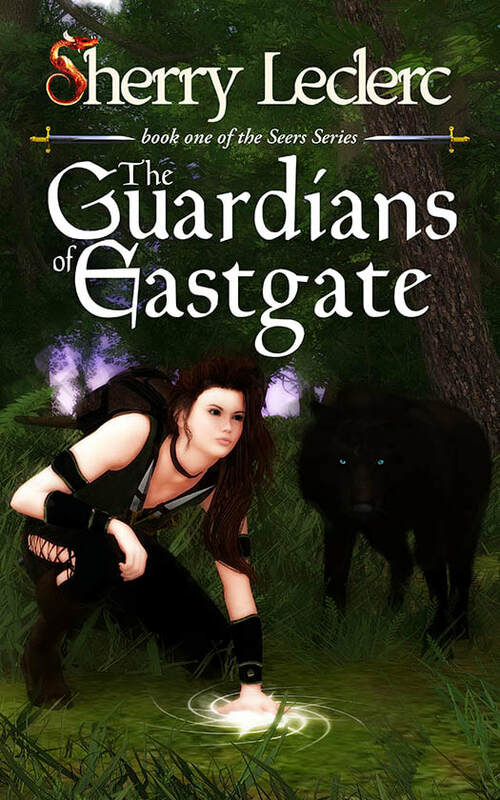 This is the new cover for The Guardians of Eastgate, book one of the Seers Series - Second Edition. We're going full-out with a fresh new cover art style, a revision of the text (to catch anything missed in the first publication), and so much more. 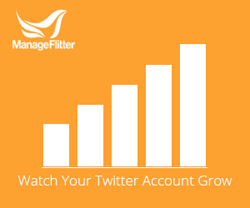 Be sure to follow Sherry online (links below) to keep informed. An ancient evil threatens the realm of Sterrenvar. A race of people called the seers had appointed themselves Guardians of the Realm, guarding the safety of their world and all the people in it. The original artwork is also available as a wall print through my Imagekind gallery. 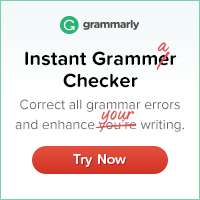 This post edited by Grammarly* ~ NOW FREE FOR CHROME USERS! *Blurbs and quotes provided are not edited by WillowRaven but posted as provided by author/publisher. *All art and designs in this post were created by myself unless otherwise noted even if some images have been replaced with newer ones to keep post current with my portfolio.